Sustain is an important part of a quality guitar tone. We tend to use it as a mark of quality: the longer a note last the nicer the guitar/amp etc. must be. Especially with guitars, it’s the mark of a well-crafted instrument when everything is seamless perfectly and allows that note to resonate well past your bedtime. What if those factors were irrelevant? What if you could achieve infinite sustain regardless of the guitar, amplifier, or cabinet you used? Today we’re going to look at 3 ways you can do just that. For those unfamiliar with the EBow, it is a powered device that fits in your picking hand that causes a string to oscillate continuously, producing a constant note until you let go. It’s name comes from the ability it tries to give guitarists, the same sustain as one would get from a violin bow where you can continuously produce sound without having to attack the note again. 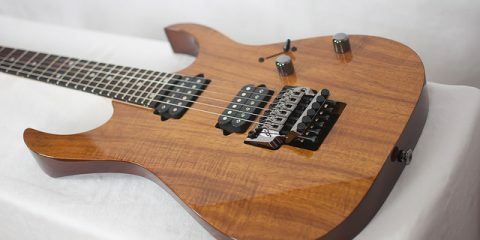 It uses some crazy magnetic wizardry to make the effect work, and the battery-powered unit also offers some unique articulations in addition to the sustain feature. As the name implies you can easily mimic the attack and timbre of string instrument like a violin. The EBow has been around for ages and hasn’t seen any tangible updates in recent years, which opened up the market for a new competitor: TC Electronic. They’ve made a name for themselves for creating fantastic pedals, but the new AEON String Sustainer is essentially an upgraded EBow for modern guitarists. The AEON has two big perks over the original, the first being its ability to automatically power down after 8 minutes of inactivity to save battery life, and the other being that it’s essentially half the price of a new EBow. The only downside to this option is that you also have to give up your pick in order to use it. It’s completely separate from a pick and does require some practice to gain full control of, but once you do it can open up a whole new world of creativity. 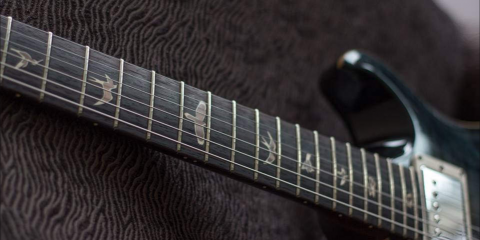 If you just can’t bring yourself to ditch the pick, maybe it’s time to try a sustainer pickup. The two big players in this market are the Fernandes Sustainer and the Sustainiac. 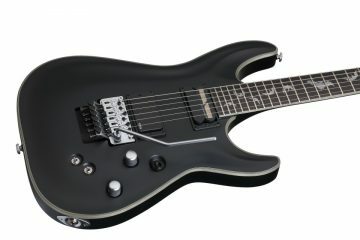 For our purposes, we’ll be talking about them as the same product because they share the same features and really only differ in the sound of the pickup itself. 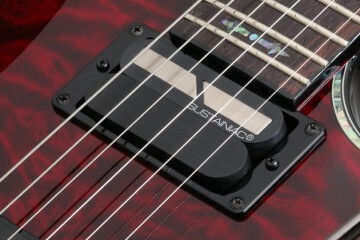 These pickups operate similarly to the handheld options and create an infinite sustain loop. They feature not only a sustain mode but also a “harmonic” mode that imitates the sound of feedback pitching up to an overtone. These modes are toggled on and off using a small switch on the body of the instrument. The sacrifice you make with these pickups – despite the great features – is having to swap out your current neck pickup and to drill a hole in your instrument for the switch. If you don’t mind a couple of new marks and a weekend of cursing at your soldering iron (not to mention a hefty price tag), these pickups truly are fantastic options for those wanting full control of their sustain without losing their pick or having to use a stompbox. You’ll have the most control and versatility by going this route. Depending on the specific model of delay pedal, you may find that you already have this wonderful feature in something you currently own. The more fully-featured delay pedals often allow for an “infinite decay” setting, meaning your notes never really go away. The more recent the note you’ve played the louder it will be compared to previous notes, so it won’t just be a jumbled mess. TC Electronic’s Nova Delay is a great example of this and a solid budget option if you’re looking at exploring this realm while also getting a flexible, practical piece of gear at the same time. No one trick pony when buying something like this. The weakness here is that means EVERYTHING is sustained, always. You can’t hold a note forever and then switch to another note without the first one repeating on and on into the farthest reaches of the known universe. This creates a lot of issues and ultimately means a lack of control. That being said, if you’re willing to stay in a single tonality/key center, you’ll find that this layered texture is something that the other methods can’t offer you. Even if it’s not your thing, it’s worth experimenting with for an afternoon of creativity. We’re not talking about cranking your compressor up to the max, don’t worry. 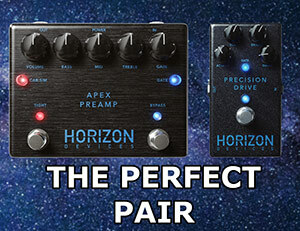 I know many pedal snobs shudder with disgust at the words “BOSS guitar pedals,” but if you’re one of them, you simply don’t know their entire lineup. There are several incredible gems in their product offerings and one of them is the FB-2 Feedbacker/Booster. While the thought of pedal-produced sustain is nightmare inducing, it genuinely surpasses expectations. 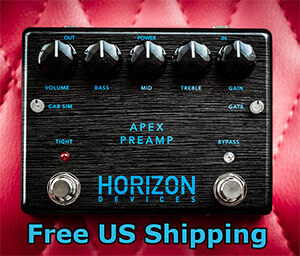 The pedal is a clean boost with a fantastically designed feedback filter built in. All you have to do is press and hold the footswitch to create instant, natural sounding feedback and sustain for as long as you’d like. Like the previous option, you also won’t be investing in a one-trick pony, as a clean boost is a must-have for any guitarist. If you want a fairly affordable way to create natural sounding sustain/feedback without modding your guitar or ditching the pick, this is your best bet. Unlimited sustain might seem like a gimmick, but it’s really just another creative option. You don’t need to be a shoegaze artist to use sustain to your advantage. 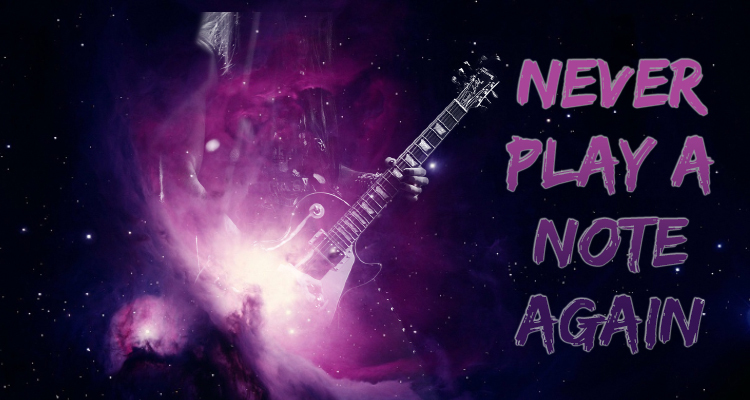 Get out of your creative comfort zone and try something new with these fantastic new sounds. Enjoy!